Shift offers a cash discount program that will completely eliminate your processing fees. Keep your money. Stop paying processing fees. Aren't Cash discount programs and surcharge programs the same? Business owners all over the world are checking out the cash discount program. It’s not hard to understand why, since most business owners are losing anywhere between 2-4% in credit card processing fees with every transaction. Cash discount programs are gaining in popularity in the United States, but if you think about it, you’ve probably seen them around for decades. Gas stations have used cash discounts on the price of gas for many years. If you pay with cash, it costs a little less per gallon. If you pay with a credit card, the cost is as listed on the sign and on the pump. A cash discount program is a type of credit card processing that passes the cost of acceptance back to customers who choose to pay with a credit card or debit card. Instead of the business paying for the cost of accepting a credit card as payment, the customer is given a choice to pay with cash and save or incur the cost of acceptance themselves. You can get the Mynt POS system or a countertop terminal completely free of charge when you switch your processing over to the Shift Cash Discount program. Keep 100% of your hard earned money with Cash Discount, the cheapest credit card processing available. How does cash discount work? Cash discount works by giving a discount to all customers who choose to pay with cash instead of a credit card or debit card. 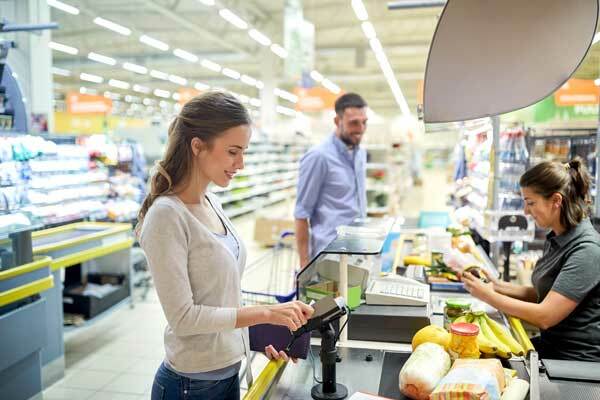 Customers who choose to pay with a credit card will pay a non-cash adjustment between 2-4% in addition to the price of goods at the point of sale. This allows the business owner to get the full payment from the customer and not incur any credit card processing fees. Read below to see an example of how a merchant cash discount program works. A customer in a convenience store walks up to the register with $20 worth of goods. She notices a sign next to the register explaining that all prices in the store are cash prices, and a non-cash adjustment of 4% will be added to all non-cash purchases. The clerk rings up her goods which come to a non-taxable total of exactly $20.00. The customer informs the clerk that she is going to be paying by cash, and hands him a $20 bill. The clerk hands the customer her receipt which shows that she paid $20 for $20 worth of goods which were marked at cash payment prices. A convenience store customer approaches the register with $20 worth of goods. She notices a sign next to the register explaining that all store prices are cash prices, and a non-cash adjustment of 4% will be added to all non-cash purchases. The attendant scans all of her products which come to a non-taxable total of exactly $20.00. 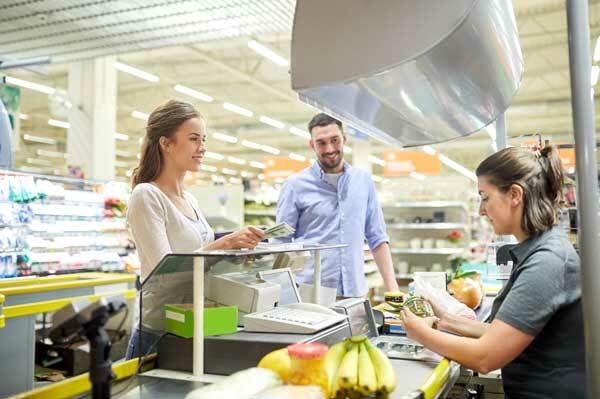 The customer informs the clerk that she is going to pay with a credit card, and the total price of the goods does not change, but a non-cash adjustment of 4% is added to the credit card price. The customer inserts their card into the terminal to pay for their goods, and is charged a total of $20.80 to cover the cost of acceptance. The customer completes the transaction and leaves having paid $20.80 for $20 worth of goods. In both of the above cases, the cost of the goods being brought to the register was exactly $20.00. This is what the business has set as the cash price of the goods. The customer paying by credit card had $.80 added to the transaction as a non-cash adjustment to cover the cost of processing the credit card payment. By paying with cash, the first customer saved 4% on their goods by purchasing them at the cash price. 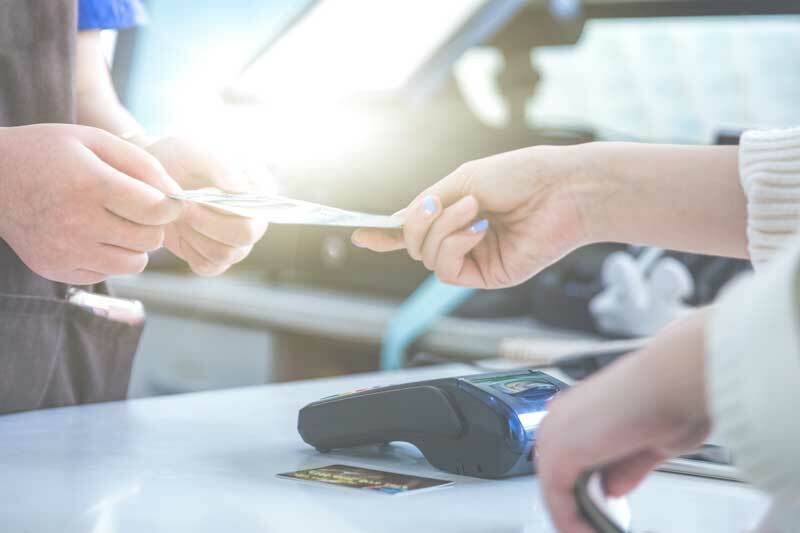 By paying with a credit card, the second customer incurred the non-cash adjustment and paid for the cost of processing a credit card payment so the business didn’t have to cover that cost. By utilizing a cash discount program, the business receives the full payment amount of each transaction without paying any credit card processing fees. Click here to check out this case study of a business that’s using the cash discount program. P.S. We even show you their statements. What is a surcharge program? A surcharge program is a type of credit card processing where you charge the consumer an additional fee on top of the cost of goods to cover the merchant processing cost. Surcharge programs are currently only legal in 40 states while cash discount programs are legal in all 50 states. Giving discounts for cash is almost always better received by the customer when compared to adding a surcharge fee. Is it legal to pass credit card fees to customers? Yes, it is legal to pass credit card fees to customers. It is legal to pass fees on using surcharge fees and cash discount programs. Surcharge fees are legal in 40 states while cash discount programs are legal in all 50 states. What should be asked though is if the card brands will allow passing merchant service fees and processing costs to the customer. Before setting up a program for your business, it’s vital that you read the rules of acceptance with the major credit card providers. What's the difference between a cash discount and surcharge program? 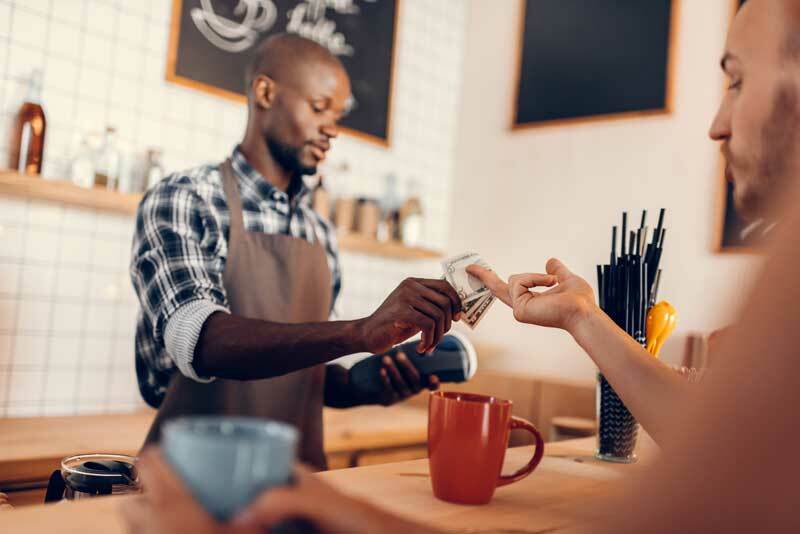 A cash discount program and a surcharge program are both payment solutions businesses use to recoup the merchant services fees that are charged each time a customer presents a credit card as a form of payment. A surcharge program adds on an additional fee at checkout to cover the merchant services fees. A true cash discount program gives the customer paying with cash a discount by avoiding any additional costs. In many establishments that offer a cash discount program, the regular price or posted prices on each item are prices for cash payment. Any payment card method other than cash increases the price of goods by adding a flat fee (usually a fee up to 4%) to cover processing costs. Are debit cards subject to surcharge fees? No, surcharge fees are not able to be applied to debit cards or other forms of prepaid cards. Surcharge fees are directed towards credit card purchases as a merchant savings from credit card fees. Debit card transactions are not charged the same fees and have a different fee structure from credit cards. Debit cards are charged a flat fee when presented as a means of payment. The prohibition on debit cards is nationwide while customers who pay using American Express, Discover, Visa and Mastercard can be subject to additional fees in certain states. Visa Mastercard and others within the card network are able to have a surcharge added to their final total, but not debit cards. Surcharge program fees are often referred to as customer service fees as they are associated with fixed costs. What are the average fees for credit card processing? The average fees for credit card processing fall in the 2-4% range for most businesses. Each merchant account has a set credit card transaction rate it charges qualified cards, mid-qualified cards and non-qualified cards. The rate differs in most cases on each credit card transaction. Actual payment processing fees are determined by the card types, and any merchant fees are added on top of the actual cost to process a credit payment. A merchant's card volume and average ticket are taken into consideration by the merchant services provider to determine the fees that will be assessed to accept credit cards. Higher card volume and a low average ticket would be given a different rate percentage and swipe fee than those with low card volume and a higher average ticket. Mobile payments and online payments also have a different fee structure depending on whether the card is present or absent during the transaction. The rate a business is charged is based on risk, but usually averages out to be between 2-4% of the transaction value. All of your processing fees are gone forever. You never have to pay a processing fee again. Your customers don’t have to pay processing fees unless they want to. If they decide the rewards on their card outweighs the cost of acceptance, they will pay with a card. If they want the cheapest price possible, paying with cash gives them what they want. ​It’s easy to switch. You receive the signs for the store as required by law and the terminal is a breeze to setup. You’ll never need to switch processors again. When you pay nothing for your merchant services account, it can be the account you use for the life of your business. Imagine being able to tell credit card salespeople that your merchant account costs you $0 every month. You’ll never have to argue with another credit card salesperson again. Tips are excluded from the non-cash adjustment. If your business accepts tips, there is no additional charge on tip price to the customer or the business owner. ​Free Terminals are available. 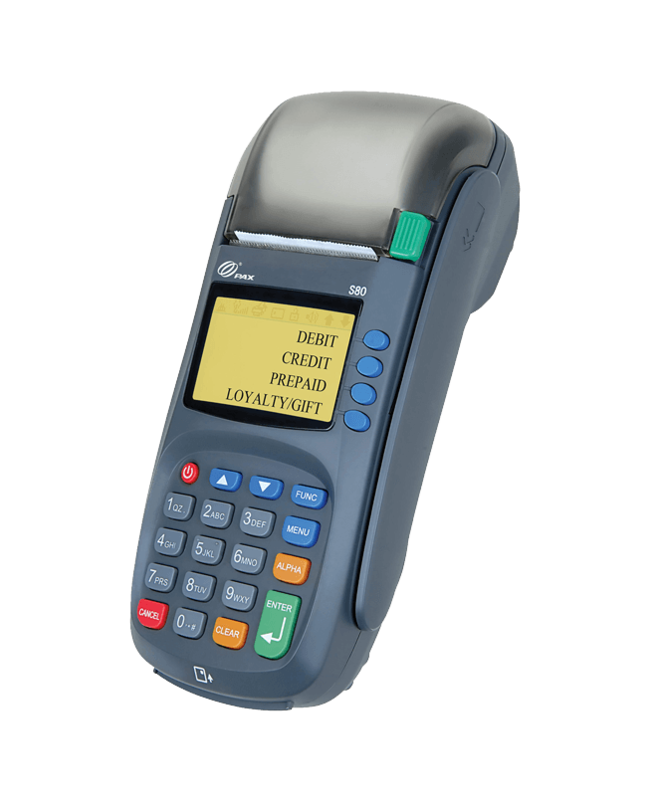 Based on your monthly processing volume, free terminals are available for your business designed to work with the cash discount program. Free Point of Sale systems are available. Based on your monthly processing volume and business type, we have free point of sale systems for your business that work with the cash discount program. No hidden fees. You won’t find any surprising line items on your statement that hide fees you shoudn’t be paying. Your statement will read $0 at the end of every month while you accept every type of major card brand as payment for your business. Cash purchases are fantastic for fraud prevention. As most people carry cash, paying by cash means that you can test any bills right at the point of sale for fraud, and be certain that you're getting paid for each and every transaction. There's ZERO risk to try it out! Unlike most merchant processors, we work only on month-to-month contracts. We believe that if you don’t want to work with us, you shouldn’t have to. We don’t lock anyone into 3 year contracts or hide fees in legal mumbo jumbo in a 25 page contract. If you want to see if a cash discount program is right for your business, it costs you nothing to give it a try. If you don’t like it for any reason, simply return the terminal to us and keep processing with your current processor. We want to take the risk out of experiencing what freedom from merchant processing fees feels like. If you’re ready to completely eliminate your processing fees, all it takes is a simple call or a quick fill in of the form below. You’re just 10 seconds away from never having to pay a processing fee ever again.